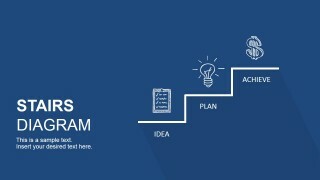 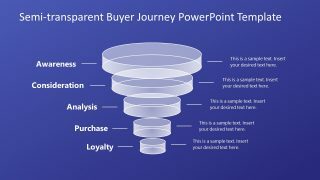 Revive your generic business procedure PowerPoint presentation with the Stairs Diagram PowerPoint Template. 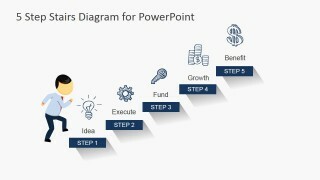 The PowerPoint slides may be used to feature variations of step ladder vector diagram illustrations, which may include maturity steps for personal growth in the business organization. 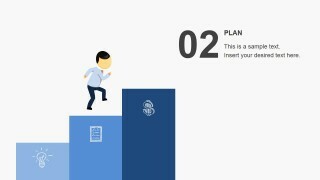 Found in the slide designs are illustrations of two types of ladder diagrams, so that the presenter may have the choice between a blueprint-themed minimalist ladder PowerPoint graphic, and PowerPoint shapes depicting a male office worker climbing separate rectangular steps that have been arranged diagonally. 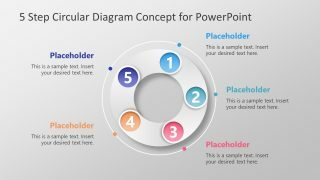 Utilize the presentation design in demonstrating a plan-do-check-act directive in order to showcase the idea of achieving objectives, making use of the slide variations to provide a source of diversity of PowerPoint graphics. 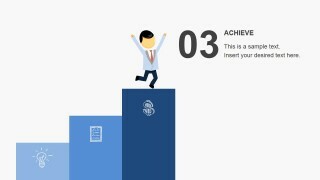 Featured in the PowerPoint slides in the collection are both three-step and five-step ladder clipart, so that the presenter will be able to decide which format, template, and design best fits his or her needs from the presentation itself. 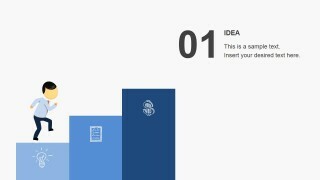 The three-step ladder illustrations are ideal for providing merely a general overview of the procedures to be undertaken, while the five-step ladder graphics can be used to elaborate on these key points, as well as add important topics which are relevant to the presentation design. 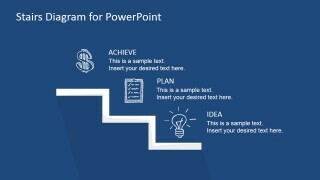 Also included in the PowerPoint template are minimalist blueprint icons, which are most suitable for logistics presentations and procedure discussions. 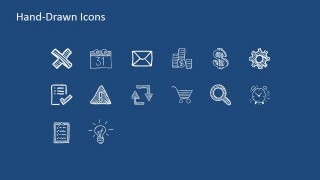 The presenter may choose to edit these icons so that they may be included in the other slide designs as novelty symbols for different logistics procedures. 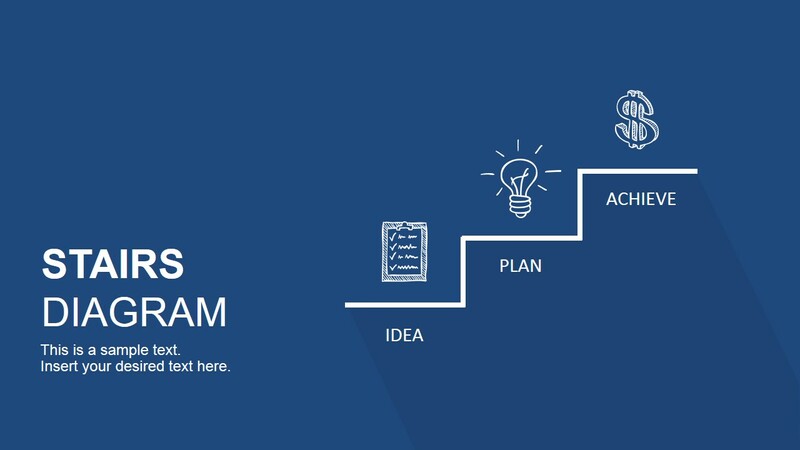 Most ideal for presentations of a series of logistics procedures, the Stairs Diagram PowerPoint Template may also be adjusted to suit the demonstration of common business activities, such as requisition procedures and marketing strategy proposals. 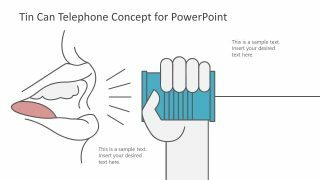 The presenter may modify the slides accordingly to suit the target audience, so as to ensure maximum impact and relevance. 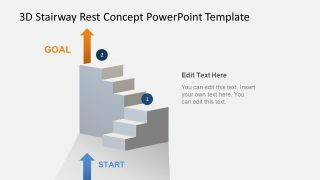 Generate other visually-appealing professional PowerPoint presentations with the 3D Steps Ladder Template for PowerPoint.